to be living in rural areas. 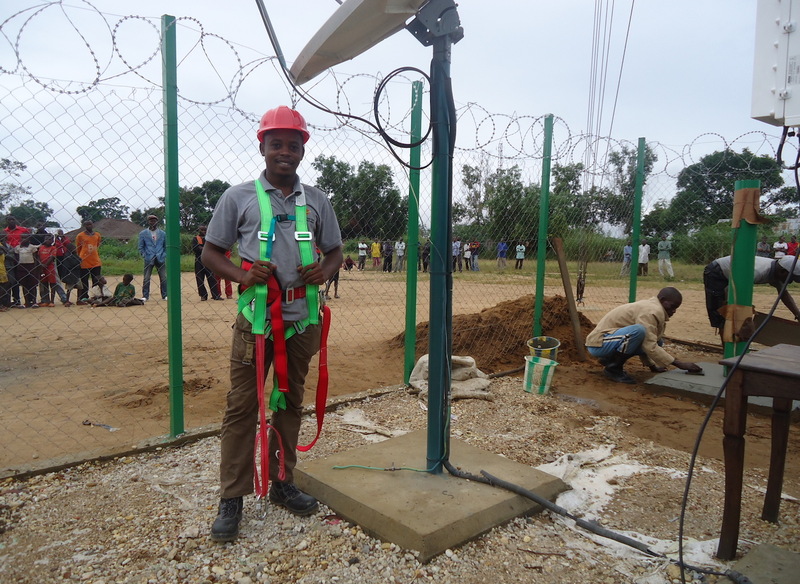 Rascomstar agreed with its partners in the Democratic Republic of Congo (DRC) , IPX –a rural operator, and Orange- a GSM operator to extend Orange’s GSM network to previously unconnected communities in Congo using Rascomstar’s GSM Extension Service. 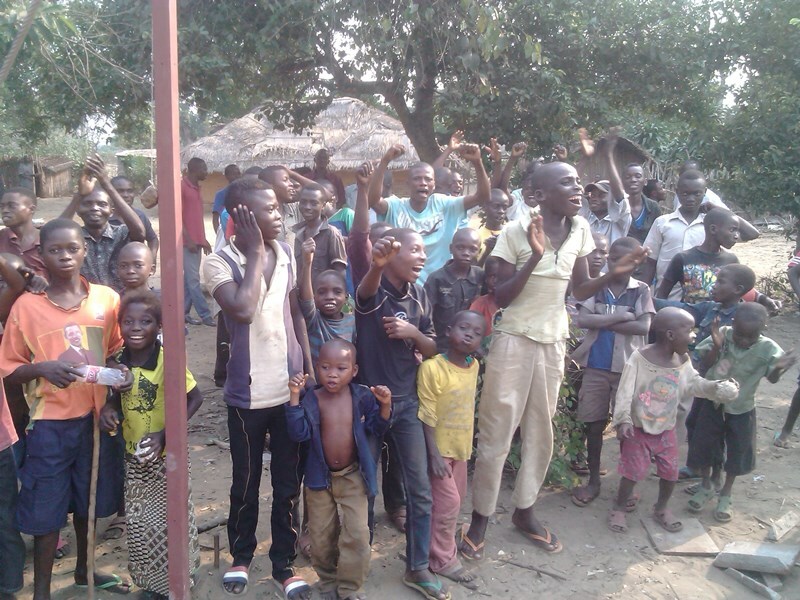 Two rural villages, were selected as pilot sites for the initial proof of concept; Panu- approximately 800 kilometers from Kinshasa, and Kalo in the same area. Considerable logistical challenges had to be overcome in transporting equipment and technical personnel to the sites. Traveling by four-wheel drive vehicles in rugged terrain and jungle paths and in some sections, canoes across rivers, it took the team almost three days to reach the sites. The team carried with them all the necessary supplies; the ‘Skylinx’ systems cabinets, antennas, ground infrastructure, 30m towers, solar panels, fencing, tools, building materials and basic provisions. Rascomstar’s technician put up the infrastructure and installed and commissioned the Communications systems. 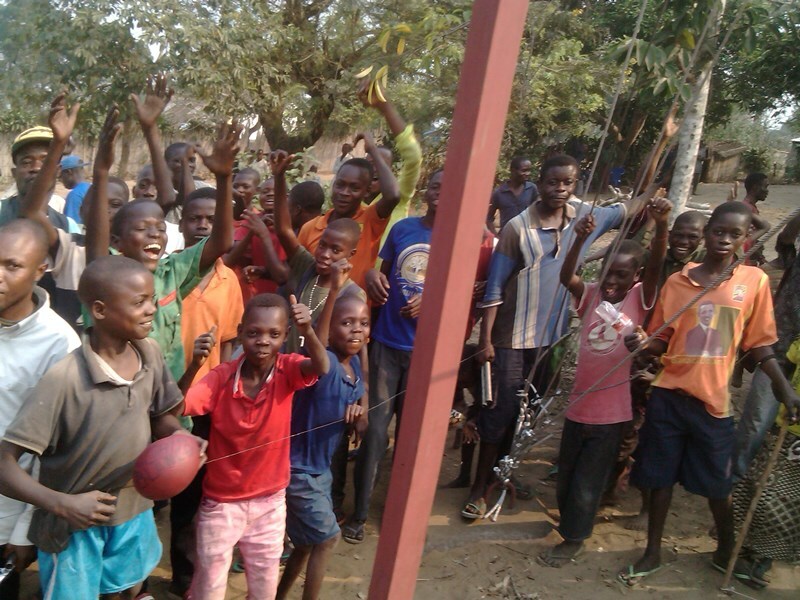 On the day the installations went live, the excitement in the community was palpable; spontaneous celebrations broke-out, with communal dancing, singing and hand clapping. The people queued patiently with their children to make that first ever phone call, and it gave new meaning to the term ‘community empowerment’. The two pilot sites exceeded both Rascomstar’s and Orange’s expectations in terms of traffic minutes and vividly proved the proposition that there are sustainable markets in rural areas previously ‘off the grid’ if the right solution is applied. 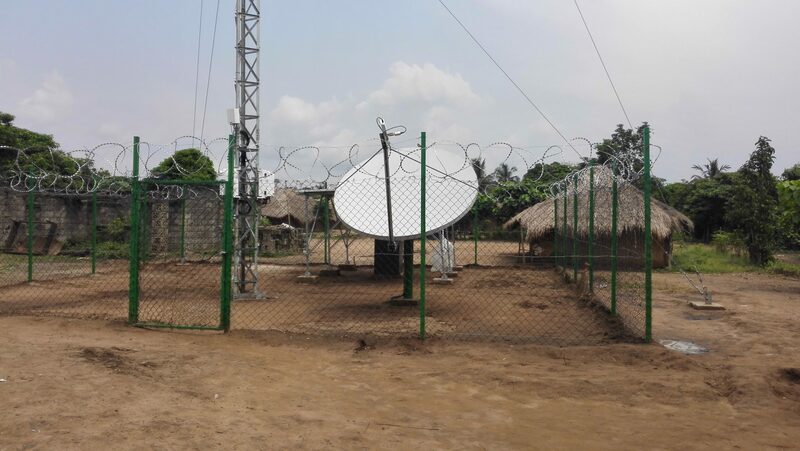 Deployment and connection to the ‘grid’ is ongoing at similar sites throughout DRC, thanks to Rascomstar technology and its partners.